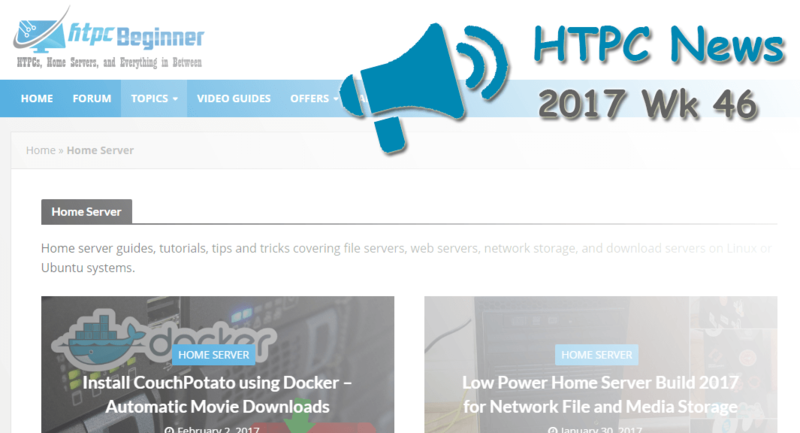 Welcome to the htpcBeginner HTPC News Roundup 2017 Wk 46. This week saw Hollywood strike back at illicit Kodi streaming addons, Plex gain Google Assistant, and more. Read on for the latest in HTPC news and updates! Streaming services are all the rage. This includes offerings such as Sling TV, PS Vue, DirecTV Now, and more. The latest site for cord cutters may be…the library? Yep, you heard that right. Kanopy and Hoopla Digital are streaming services available to libraries across the United States. These boast ad-free movies, shows, and documentaries. It's a neat premise, and really makes cutting the cord more affordable and feasible. Looking for a sweet HTPC-server combo? The Modulus 4K is a neat device. The top of the line M1 rocks a 12 TB harddrive and supports 4K with HDR10 out of the box. There's an HDMI input and SPDIF optical input, as well as optical out, two HDMI outpits, and an RF input. It runs about $3K however. There's also the Mx1 mini client for just shy of $500. This is a small box for casting services from the M1 to remote displays. Additionally, there's a Blu-Ray ripper for ripping physical discs, and even support for DVR with OTA tuners and cable cards. Plus, there's a bundled service similar to PlayOn which allows users to not only play back the likes of Hulu and Netflix, but also record from them. Note that legality of this is, questionable. Did you find any interesting news stories or projects from around the HTPC space? Share them with us in the comments section below!